This Three Pepper Pizza is the go-to dinner for Meatless Monday. 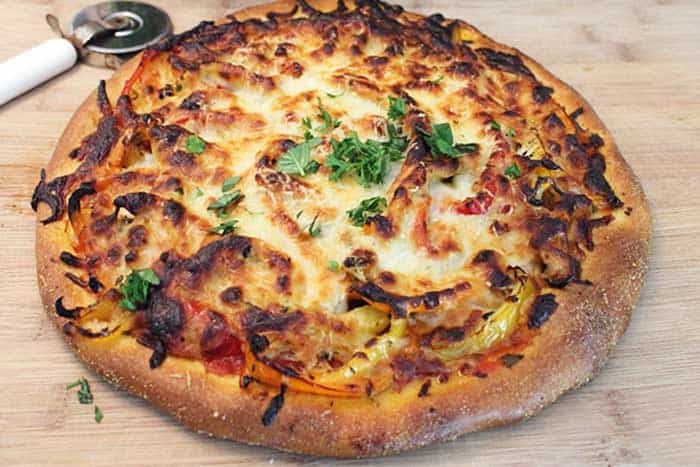 All you need is store-bought pizza dough, red, orange and yellow bell peppers, onion, garlic, spices and mozzarella cheese to enjoy a slice of heaven! Believe it or not, no pizza sauce needed! We love our pizza in this house and ever since I bought a pizza stone it has become a favorite to have at least twice a month. Our favorite is probably Pepperoni Pizza but I’ve tried a copycat version of California Pizza Kitchen’s Thai Chicken Pizza, a BBQ Pulled Pork Pizza with leftover pork and what I call my Jimmy Buffet special, a Double Cheeseburger Pizza in Paradise, and they’re all sensational! However, every once in a while it’s nice to go meatless and about a year ago I decided that in order to be healthier we would try to go meatless at least once a week. 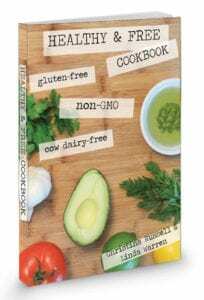 It seems the only way I could stay on this course was to pick a day and stick with it – and what better inspiration than Meatless Monday! This Three Pepper Pizza was a good dinner option to start with since it would be hard to pick a time when anyone ever said “I don’t want pizza”! Am I right or am I right?! 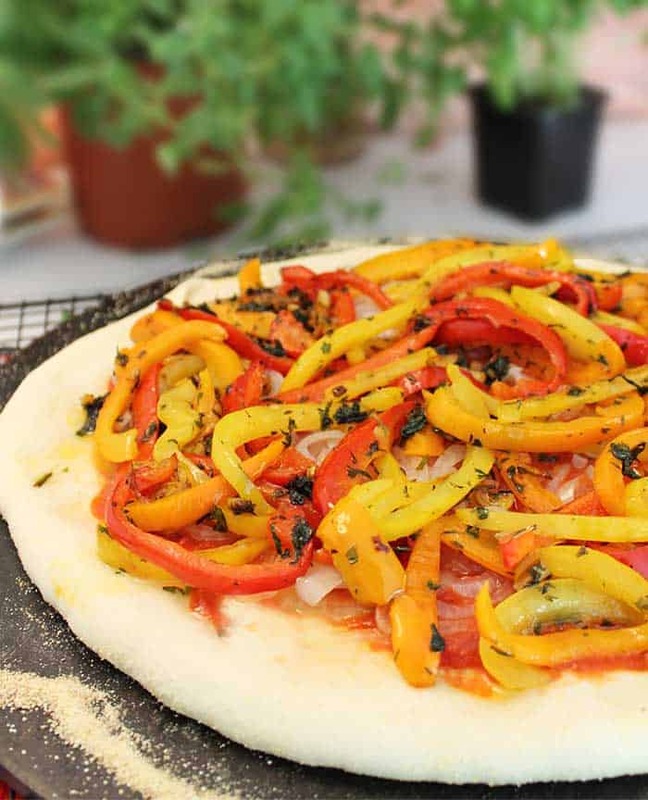 Check out how easy this Three Pepper Pizza is to make! I gathered up some popular herbs from my indoor garden, basil, oregano and thyme, and threw them all together. I had just bought a package of tri-color peppers from Costco so I used those as my base. To start, saute sliced onions for 5 minutes and remove from skillet. In the same skillet, cook sliced peppers and garlic with half of the herbs. 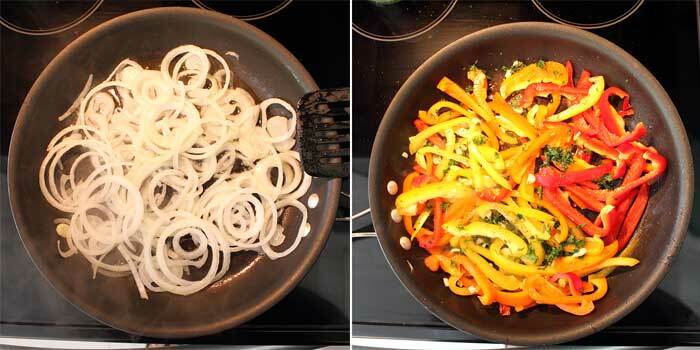 Place cooked onions and peppers on top of a rolled out pizza crust. My Publix makes some of the best pizza dough around but you can also find dough in the refrigerated section of most grocery stores. Top with mozzarella cheese and a sprinkling of Parmesan. Bake. I didn’t add any tomato sauce to this three pepper pizza as my daughter has them on her allergy list and I was hoping that the juice from the peppers and onions would make up for it. And boy, did they ever! You’re not going to believe it til you try it but no one missed the tomato sauce! Believe me, you won’t either! Sprinkle with remaining herbs and dive in! 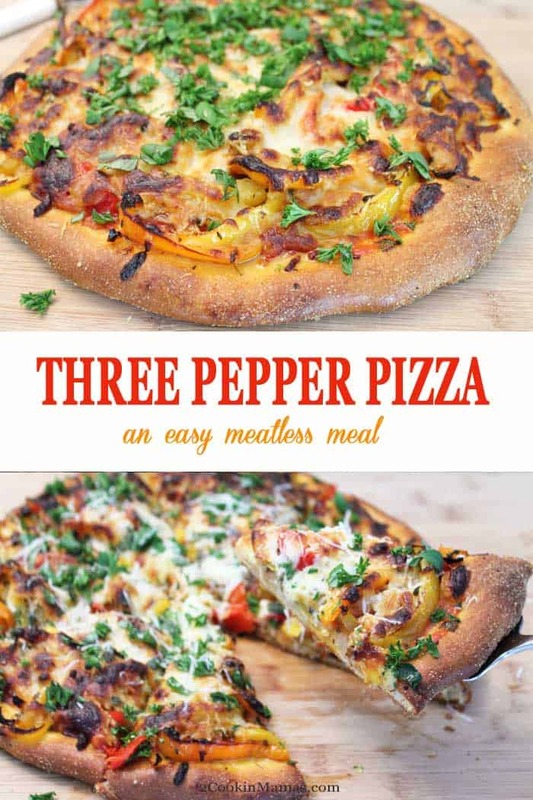 Why not start a trend in your house of a meatless meal once a week and start with this easy yummy Three Pepper Pizza! Enjoy! 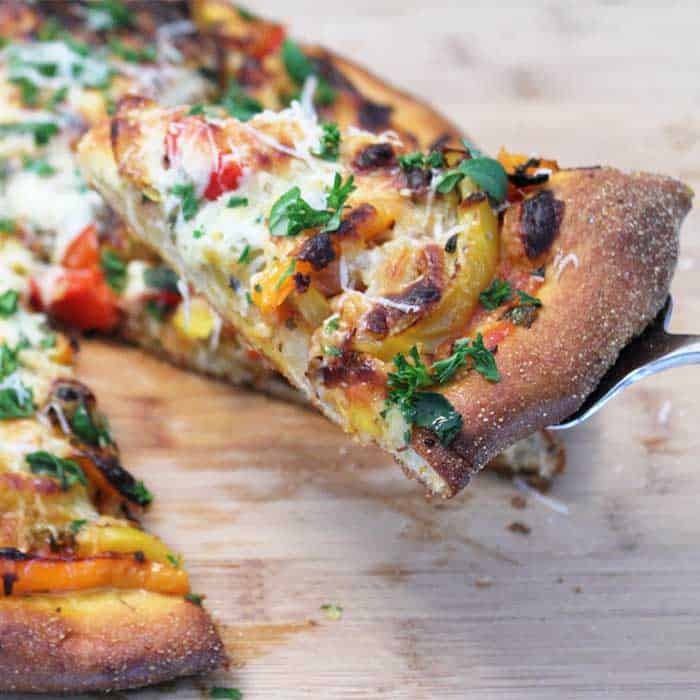 This Three Pepper Pizza is the go-to dinner for Meatless Monday. 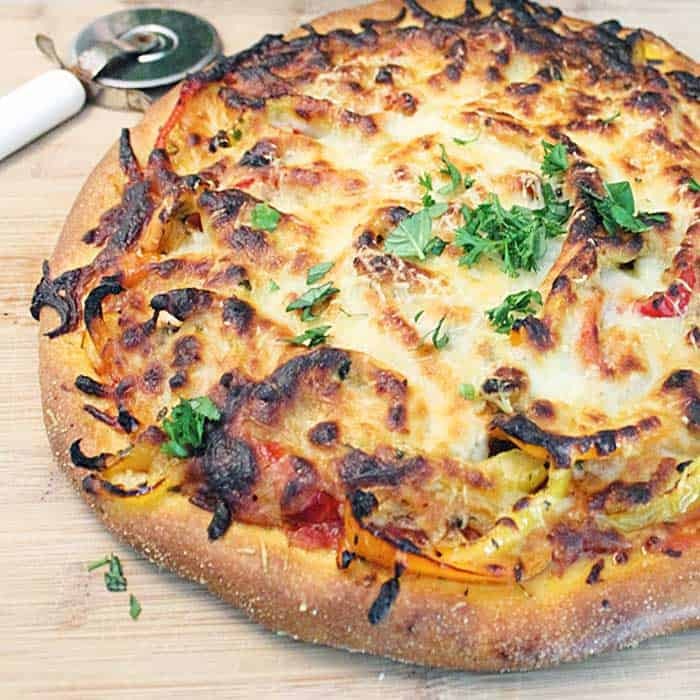 All you need is a store-bought pizza dough, tri-color peppers, onion, garlic, spices and mozzarella cheese to enjoy a slice of heaven! Believe it or not, no sauce needed! Take pizza dough from refrigerator and let sit out an hour prior to rolling out. Half hour prior to cooking, place a pizza stone or cookie sheet in oven and preheat to 500 degrees. In a large skillet, heat 2 tablespoons olive oil. Saute onions for 3-5 minutes then remove with slotted spoon. Add remaining 2 Tablespoons of olive oil and place peppers, garlic and half of herbs in pan. Season with salt and cayenne. Saute for 10 minutes. Remove and set aside. 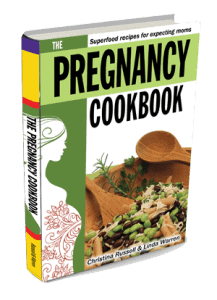 Sprinkle cornmeal on flat surface. Take pizza dough and punch down then roll out to a circle slightly smaller than your pizza stone or a rectangle if using a cookie sheet. Sprinkle more cornmeal as needed so that dough does not stick to rolling pin. I also pick mine up and stretch the edges slightly to help with the shaping. Some people put their pizza together on a pizza peel or paddle and then transfer it to the pizza stone but I have never had any luck with that. Instead, when I am ready to assemble, I take the pizza stone from the oven, sprinkle it well with cornmeal and carefully place my dough on the stone. If you are using a cookie sheet, carefully place your dough on that. Spread onions on top of the dough, leaving about 1/2"-1" on sides to prevent spills. Next spread pepper mixture on top of onions. 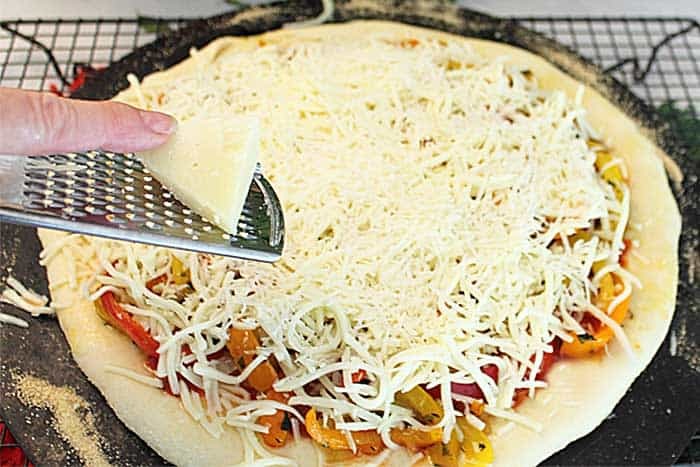 Lay mozzarella cheese on top of peppers then grate some fresh Pecorino-Romano on top. Carefully place pizza stone or cookie sheet back in oven and bake about 20-25 minutes or until cheese melts and crust is crisp. Remove from oven, sprinkle with remaining herbs, cut and serve. Makes 1 pizza or about 8 slices enough for 4 people. 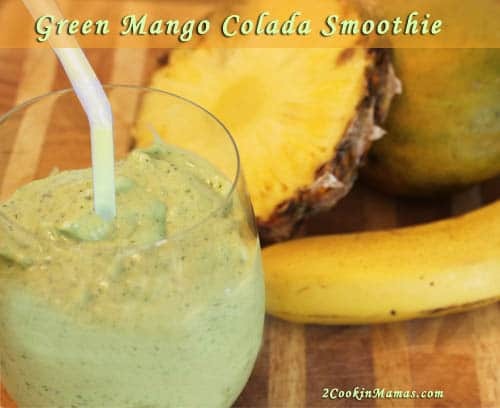 This post was originally published on May 12, 2014 and has been updated with new photos and copy. Wine Pairing: I really like a a cool, crisp Sauvignon Blanc, like Slingshot’s Sauvignon Blanc or Pinot Grigio with plenty of bright acidity that complements the variety of veggies. 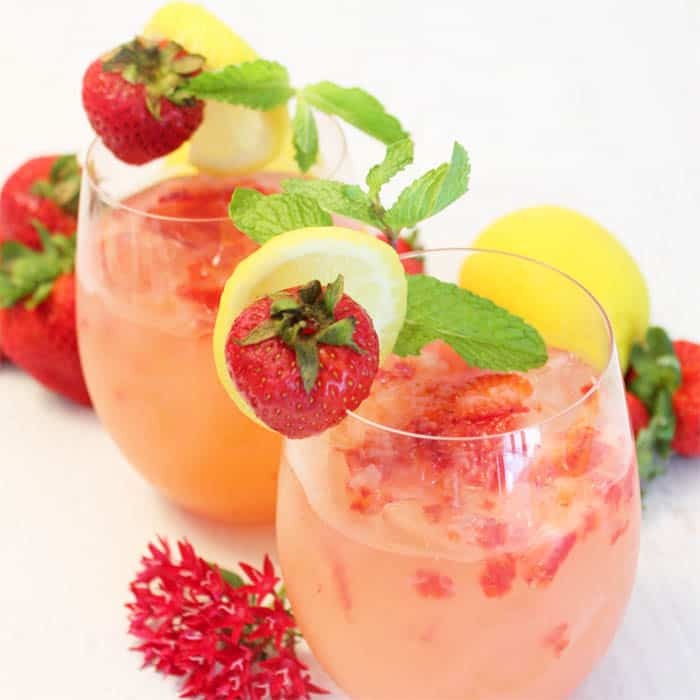 A dry rose wine, Chianti, Shiraz or medium-bodied Zinfandel would also work well with all of the competing flavors. The perfect pizza for any pepper lover! The peppers are so sweet and make their own sauce that you don’t even need to add tomato sauce. What’s amazing is that I don’t even miss the meat! 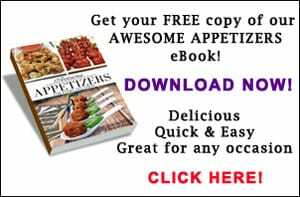 I love this recipe – so many good techniques to use in other meals. And I adore that you are a mother/daughter team! Thanks, it’s pretty special! She doesn’t get to do as much any more on the blog since she moved to Georgia and now has 2 little ones to run after but we still work together when we can. Maybe that is why so many Americans are overweight – no portion control. This looks delicious, and much as I hate to admit it, as a card-carrying carnivore, there’s something to be said about certain meatless meals. 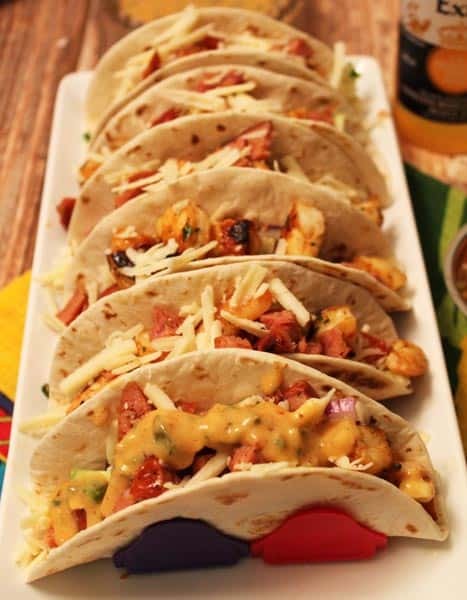 For me, it started with Mexican restaurants (they load their beef items to the hilt!) and has migrated to pizza. A pizza like this is like having a salad, too. This is a WONDERFUL pizza!! Glad you liked it! And I’m with you, the more basil the better!